1. How can we find the best floor plan for building a new house in Aiken? We have showcase homes that are available and also links on our website with full size renderings and floor plans. You also can go online and search for plans you like and we can customize them to your home. Please feel free to contact us at Wolf Construction at (803-648-1711) or email us at info@wolfconstruction.com. 2. Can we modify the home design to suit our needs when building a new house in Aiken? You may add extras on to your contract when you build with Wolf Construction and we can provide you with an initial quote of the costs. 3. What are my responsibilities when building a new house in Aiken? There are two sets of appointments we will coordinate that will consist of two business days for each appointment. Also choosing the interior and exterior designs are your responsibility. 4. 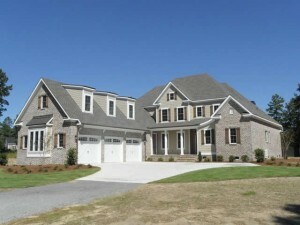 How long will it take to build a new house in Aiken and when can I move in? It takes approximately six months to build a new home. Once the home is completed you will do a walk through of your new home. Anything that will need to be corrected will be addressed at that time. After the walk through, we will have the closing. 5. What are the pitfalls when building a new house in Aiken and can we stay within a certain budget? Going with another builder besides Wolf Construction! Having a builder that is not reputable is a pitfall.